This book details the research that has been devoted to the range of quality attributes of beer. It is the first book to approach beer in this way and comprises an essential reference for anyone seeking an authoritative account of the science of beer appearance, flavor, stability and wholesomeness. 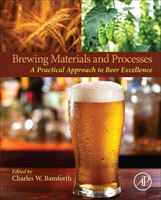 The in-depth look at aspects of brewing that this book provides makes it perfect for employees on the technical production side of the alcoholic beverage industry, students studying the subject and people involved in related and associated biotechnology industries, the brewing industry, as well as academic researchers. Focusing on the quality of beer and the impact of raw materials and processing on the consumer’s experience, the authors help their readers think about beer production differently than ever before. 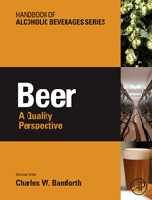 This title helps readers to consider beer from all perspectives of sensory evaluation from sight to scent to flavor.